I have been a licensed hair stylist since 1998, and grow more passionate and excited about my craft every single day. Furthering my education and staying up to date with current technique is of the utmost importance to me. 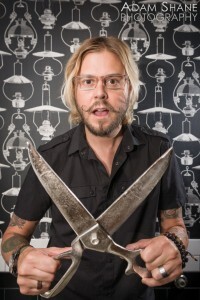 Over the past 15 years I have been working alongside some of the top stylists in the industry and training all over the US as well as Bumble and bumble University in New York.I am highly skilled in all aspects of both cutting and coloring, and specialize in natural higlighting and Balayage techniques. I use AVEDA color which is up to 99% naturally derived from plants, non-petroleum minerals, and water, making it much less toxic for my guests and the environment. Because I am obsessed with fashion and the avant garde, I also enjoy styling for editorial and film as often as possible. Besides cut and color, my in-salon services also include extensions and keratin treatments. I am certified in HotHeads Extensions, Brazilian Blowouts, and all things Bumble and bumble. Athough hair is my true love, I also find myself flirting with photography quite often. I attended UNLV for 2 years as a photography major and have a hankering for combining the two whenever possible. If you’re ready for a change or just want to update your current style I am ready and willing to use my expertise to beautify and pamper you! One of Josephine Skaught’s Network Educators and stylists is Megan Trivette. She began her career in 2006 and has spent nearly most of that time refining her craft. She has studied with Toni & Guy and Bumble & Bumble University. Inspired by fashion, art, pop culture and design her cuts and colors are packed with a cultured eye and an expert skill set. She is certified in Hothead Extensions as well as Brazilian Blowout. 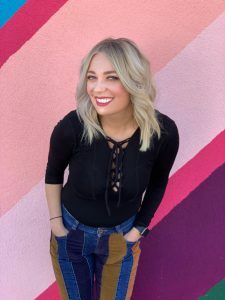 While she has an affinity for all color, she specializes in Balayage and is fluent in Wella color. 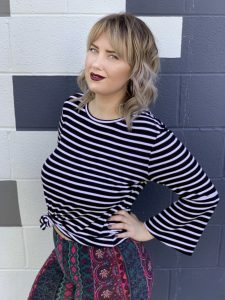 Her goal is to always focus on the integrity of the hair and to go the extra mile by educating each client so they will leave the salon feeling like they can recreate a similar style at home. I’ve been a licensed hairstylist in Las Vegas for 11 years, but I have been styling hair since I was a kid. It runs in my family, my grandmother being my biggest inspiration. She was a cosmetology teacher after she retired from working behind the chair and owning her own salons, and she gave me my first first cosmetology “kit” when I was 6 or 7 years old. Those doll heads quickly replaced my interest in Barbie dolls. From then on I knew dressing hair was my calling. I am now a Network Educator for Bumble & bumble and I specialize in color, most recently the artistry of balayage. I also love to cut and style hair from long to short, curly, wavy and straight, and men’s haircutting. Im also certified in Hotheads Hair Extensions as well as the Brazilian Blowout. Britt DuBose is a native of Colorado, and after spending six years in the Seattle area she now calls Las Vegas her home. She graduated from the Phase 2 advanced program at Paul Mitchell The School Las Vegas. While still in school, she was chosen to participate in Paul Mitchell’s Caper event as a color artist presenting on stage in front of over 3,500 Caper attendees. Britt then went on to train under Skaught Gibson, owner of Josephine Skaught Hairdressing. After completing her apprenticeship, Britt went on to manage a small downtown salon before rejoining the team at Josephine Skaught Hairdressing as a full-time stylist. 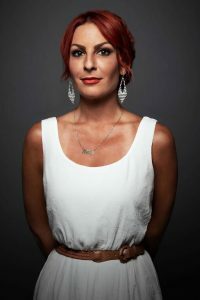 She has had the pleasure of assisting DJ Muldoon, a renowned educator and platform artist, and his team multiple times, and has attended his advanced cutting class in San Diego. Britt continues to pursue education to keep up on the latest trends and techniques. 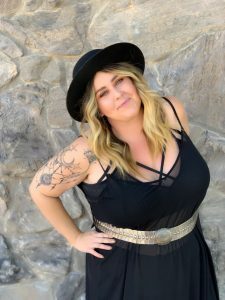 She also worked as an integral part of the No Rest To Success team, a movement that provides education and inspiration to Las Vegas hairdressers with the goal of elevating the craft of hairdressing and inspiring fellow artists. 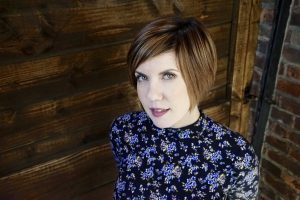 Britt’s passion is creating a signature look for each client, whether that is hand-painting sun-kissed highlights, custom mixing a vibrant fashion color, or creating a precision pixie cut. She puts a lot of thought and care into her art as she works with each person to create a cut and color combination that suits each individual personality and lifestyle. I have been doing hair 23 years. Within the last 10 I have been involved with Hair shows, Runway and fashion and film industry. I have worked front and backstage NAHA (North American Hairstyling Awards) where I was nominated in 2018 in the texture category. I build avant-garde hairpieces and love creative updos. Styling, cutting, coloring, extensions are all my passion it’s more than a career it’s a lifestyle. I will never stop learning and do my best to a positive influencer in life and work. Morgan Littlefield has been a licensed cosmetologist since 2010 after graduating from the Euphoria Institute of Beauty Arts and Sciences. She had the pleasure of assisting master stylist David Van and enhancing her craft under his mentorship. Morgan was an integral part of an on-site wedding styling team and has also had the chance to present at several Wedding Conventions. Growing up in Las Vegas, and being an avid hiker and camper, Morgan draws inspiration from nature and the surrounding desert. She is an expert at blonding and balayage and takes her time to make sure the final result is the perfect match for her guests. She continuously explores the newest techniques and trends in blondes and other areas of hair color to ensure that you always look your absolute best.